Air Filtration Odor Removal - Air Filtration for Odor | Air Purification Inc. There are plenty of different businesses where unpleasant odors can be an unfortunate byproduct of their production process. Some of these odors can go so far as to affect the performance of employees in the workplace. Luckily, with an effective air filtration system, a business owner can eliminate unwanted odors from the work environment and ensure that clean, fresh air is circulated through the building. Air Purification Inc. uses a variety of well-known manufacturers, along with lesser-known manufacturers that are picked by us, to provide an adequate odor filtration system. If you have a manufacturer in mind, all you have to do is ask and we can help you come to a decision. How Does Air Filtration Eliminate Odors? Odors are caused by substances and particles flowing through the air that can be inhaled. These particles usually cannot be seen and will only be detected by smell. Given that fact that many industrial and commercial businesses depend on processes that can create odors, it is imperative to find a way to get rid of them. An air filtration system for odors takes advantage of activated carbon to remove particles from the air. The carbon uses chemical adsorption to rid the air of unwanted substances. 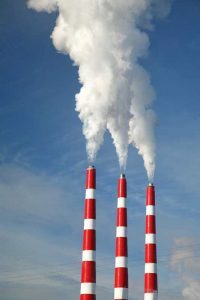 Air Purification Inc. can help make an on-site decision regarding the appropriate carbon filtration system that can filter depending on the quantity of odorous substances being produced and the types of substances. These systems take advantage of the porous nature of carbon to trap these particles in the filter. Once the substances are trapped, the rest of the air is blown out with the pollutants eliminated. These filters can trap over 90 percent of all contaminants to allow clean air to filter through a building. If your facility has a particular infrastructure or production process, we can even work with you to make a custom filtration system to serve your odor elimination needs. Carbon filters are easily replaceable thanks to their compact design that makes them convenient to be removed and replaced as needed. Carbon filters do eventually need to be replaced due to the fact that the filters will build up more and more particles over time, reducing their effectiveness. However, a filter has a long life of several months before needing to be replaced. Luckily for you, Air Purification Inc. prides itself on maintaining a constant relationship with its customers. We will always be there to help provide the latest and greatest the next time you need to replace your filters. If you aren’t satisfied with the system we provided for you, we will work with you to provide a better system or give your money back, guaranteed.